FULLY FURNISHED PRIVATE ROOM IN HIGH-END PROPERTY IN ENMORE! RECENTLY RENOVATED THROUGHOUT WITH 4 BEDROOMS AND BRAND NEW KITCHEN and BATHROOM, JUST SECONDS WALK TO KING STREET AND ST PETERS TRAIN STATION. Features include: -Fully furnished throughout with brand new furniture -Unlimited Wi-Fi Internet -Weekly cleaners for communal areas -Laundry facilities -Fully equipped kitchen with quality appliances -Living &amp; Dining room with BIG screen TV -Bed linen -Outdoor area -Smoking is ONLY permitted in outdoor areas of the property -Free street parking The house is located near Enmore Road and 5 min walk from Newtown train station. You will find everything you will ever need located within a short walking distance including pubs, restaurants, bars and supermarkets. 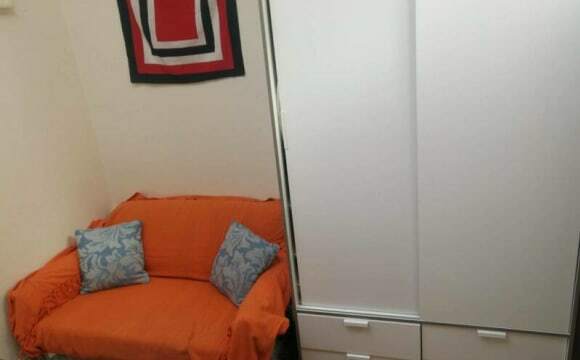 Room price: Room 1 - $325 Single ONLY Bond is ONLY two weeks rent. No pets allowed. Weekly cleaners for communal area! The terrace is just a 10-minute walk to Newtown train station. It's also within a walking distance to USYD through King St. A nearby bus heads straight away to UNSW and Coogee Beach. The kitchen is fully equipped, with a great gas cooktop. The rear garden is a great place to wind down. All bills are included where you pay no house bill. The housemates are young, responsible and sociable professionals and students. Thanks. John and I just moved in a few days ago so we're still getting to know the house and the neighbourhood but so far, it's fantastic The house is in really good condition and has been renovated recently. It has a huge open plan kitchen that faces east which gets plenty of sunlight in the morning, a lovely back courtyard, modern bathroom and hardwood floors throughout the house. We have most of the furnishings of the house covered already. Juliett street is quiet and leafy and only a 10 minute walk to all the restaurants and bars on Enmore road. The Golden Barley, Enmore Park and Vic on the Park are all a short stroll away and the Marrickville Metro isn't too far either. We're a 5 min walk to a bus stop on Enmore Road and 15 min walk to Newtown Station. The dimensions of the available room are 3.1m x 2.7m. Rent is $280 p/week and that covers just the room/house. 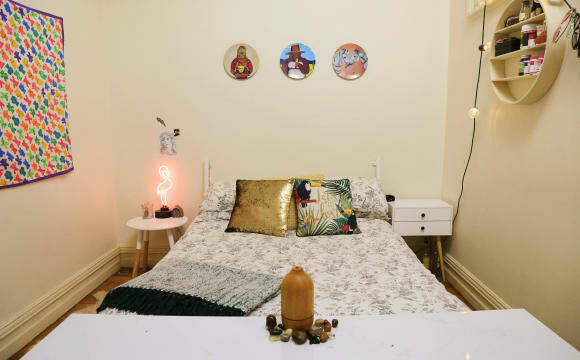 We'd be splitting internet, gas &amp; electricity, water bills etc evenly The photos are all from the domain listing for the moment except for the room because we're still unpacking and there are boxes everrrrywhere. But that'll all be cleaned up the time you come to check out the place – promise (maybe). The house is great! It's got a lovely courtyard which opens out from the kitchen, it's a very nice place to relax on a weekend morning when the sun is shining. The house is completely furnished. You won't need to worry about a washing machine and the kitchen has everything you could need. Free Netflix is also a win. The location is brilliant. Only a moments stroll from Enmore Theatre and Young Henry's Brewery. It's an 8 minute walk to Newtown train station and there are plenty of buses that leave from Enmore Road. The food here is great too, my favourite is Cairo Takeaway. I would be happy to show you around. If you're interested please reach out! The lease ends on August 3rd, I'm sure our landlord will be happy for you to take over the lease at that point if that's what you are wanting. A semi detached house on a friendly, leafy street. Wooden floorboards, high ceilings, a bath and lovely natural light. Plus a cute little courtyard. The house is 5-minute walk to Marrickville Metro shops, Enmore Rd bars, Enmore Park and Annette Kellerman Aquatic Centre. Also close to King Street. Transport wise, Newtown &amp; St Peters stations are both about a 10min walk away. Regular buses run from just around the corner (423, 426, 428, 352, 308). There's plenty of free, unmetered on street parking on the street. 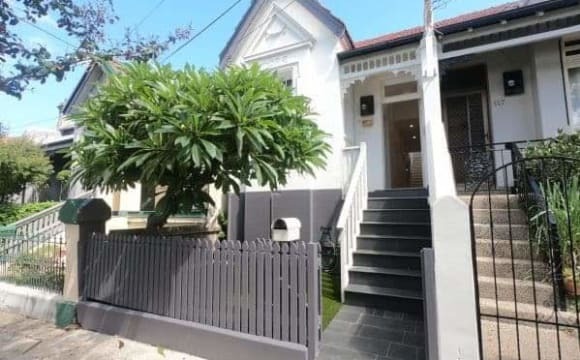 Hi All, We have a great 3 bedroom house in the heart of Enmore. Located within 10mins of walking to all bars / restaurants / public transport in Newtown &amp; shopping at Marrickville Metro. The bedroom available is spacious with windows, a built in wardrobe, and comes with the option of furniture. Shared areas are fully furnished (with an equipped kitchen), but if you have some of your own stuff this is no problem, we even have a shed to store larger items. Our house has a back garden with BBQ that is large enough to entertain friends. Rent is inclusive of internet, household items &amp; a cleaner who comes once every fortnight. Lovely high quality terrace home nestled on a quiet street just down from the Enmore Theatre. All that Newtown has to offer on the doorstep. 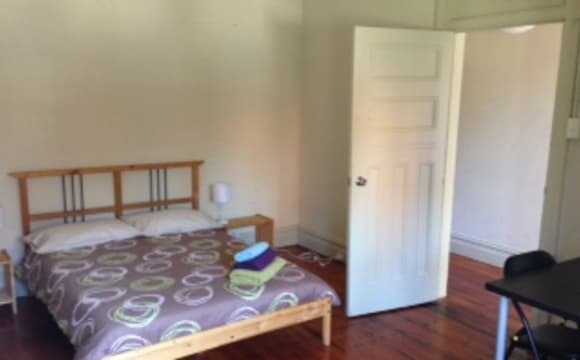 A big (really nice) double room with balcony looking over urban Newtown, with own bathroom and wardrobe is available from 2 June 2019 Large fully kitted kitchen, Miele gas hob, oven, dishwasher, washing machine and dryer, 2.5 fridges and freezer, good backyard for entertaining, BBQ's and 2 bathrooms. Pretty well kitten out here but if you have stuff to bring then feel free. Flexible duration. 10 minutes walk to Newtown station and about 15 to St Peters Station. Easy commute to the city. The middle room in the terrace is a reasonable size and will fit a Queen Bed - (there is one if required) and has a chest of drawers and a coat rack with room to spare. There are high ceilings and two windows, letting in plenty of light. The Master Bedroom is an awesome big room, light and airy, wooden floors, high ceilings, with a balcony and its own bathroom and wardrobe. Bedroom has a bed if required but the rest of the house is fully kitted. . Room for additions of stuff in the rest of the house too if you have it. New modern terrace, Great location, polished floor boards, backyard, bbq, fluffy cat that behaves like a dog! ?, 5min from trains/bus.. The property is a recently renovated 4 bedroom townhouse in Enmore. The bedroom is a spacious 3m x 4m sunlit room. The bedroom is unfurnished, however a wardrobe can be supplied if required. There are 2 brand new bathrooms (one upstairs and one downstairs). The rest of the townhouse will be fully furnished. The interior is modern, minimalist style with a new kitchen including a dishwasher. There's a spacious living area which opens out onto the backyard. Short walk to pubs, bars, cafes and restaurants. Unmetered parking on the street. Hello!! 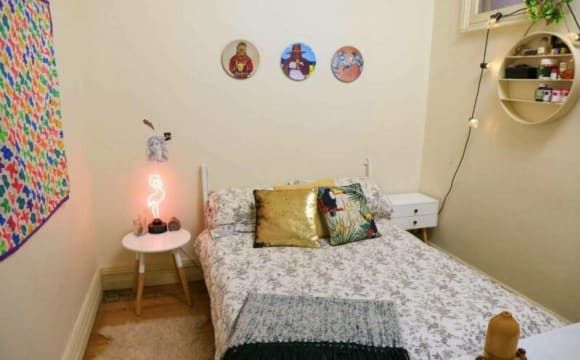 We have a beaut room available now in our newly-leased 3 bedroom house in Enmore. Our cute little home is located just off Enmore Rd - we're a short walk from cafes and pubs and the Marrickville Metro Shopping Centre. Also close to Newtown station and lots of buses on the main road. The house has a big kitchen, spacious lounge and dining areas as well as a leafy courtyard out back. The room is 3.1m by 2.8m and fits a queen bedroom. The rest of the house will be furnished by us! Rent is $290 per week, plus bills split between the three of us. Bond is the standard 4 weeks rent. Non-smoking house.